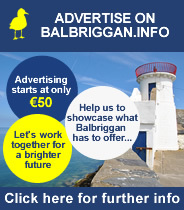 Here at Balbriggan.info we are always delighted to receive your feedback. Your feedback and questions are crucial in helping us provide a useful and usable website for all members of our community. We welcome your input and hope that that you will take a moment to send us your comments.